Ever catch yourself day dreaming? “Bring a sense of clarity and spirituality to your life to pave the path you are meant to be on” is the legend told by many Native American tribes when they encounter a blue jay. “Walk in Beauty” is how Native Americans were taught ever since they were young. This bolo tie brings a chic wave of one of nature’s sacred creatures gifted to us by Mother Earth. 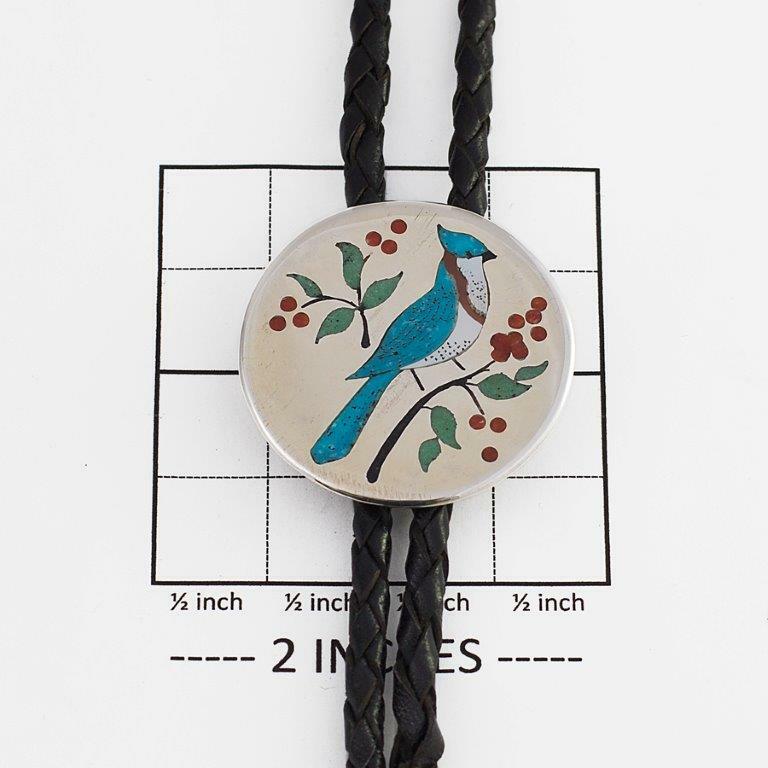 Be sure to add this Bolo Tie to your list when you are shopping for him. This Bolo Tie’s face measures 1 1/2″ in diameter, cord measures 34″ plus 2″ sterling bead tips, hallmarked “Barber” and “Sterling”, weighs 25.4 grams, and features glistening turquoise, mother of pearl, and coral. Astonishingly handcrafted by a skillful Navajo artisan and Silversmith! We also offer free gift wrapping with each purchase. 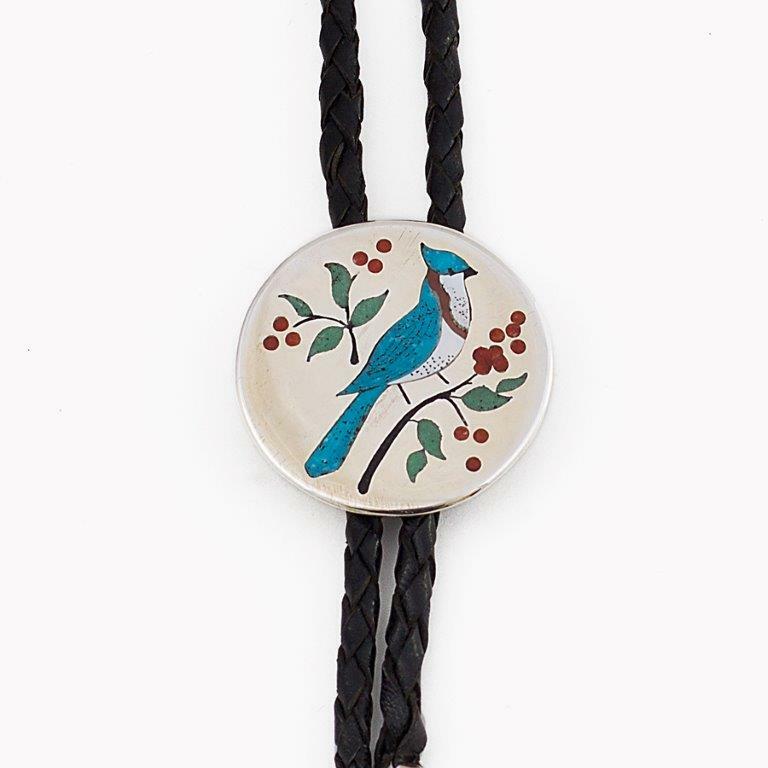 Navajo artist Barber Blue Jay Bolo Tie displays this beautiful wild bird with stunning Sterling Silver, handcrafted by this talented Navajo artist!